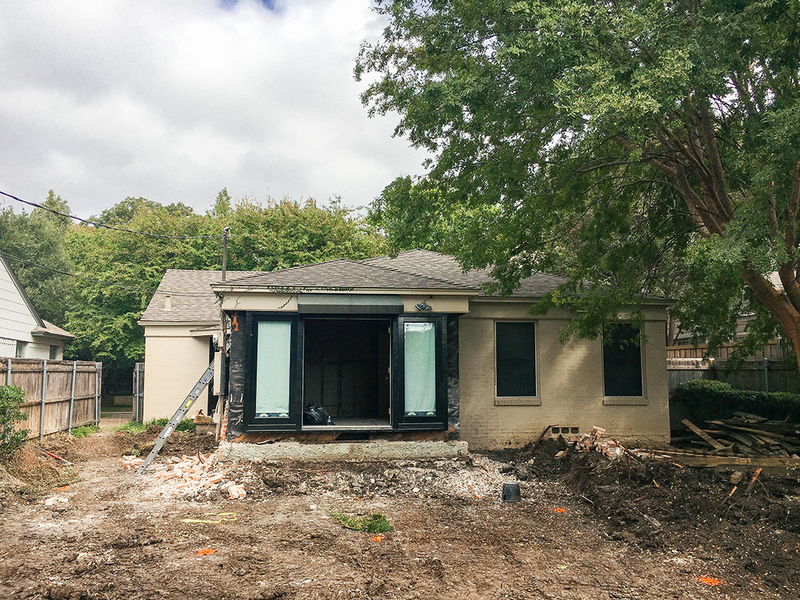 house update // construction has started! Oh MAN, has this post been a long time coming! 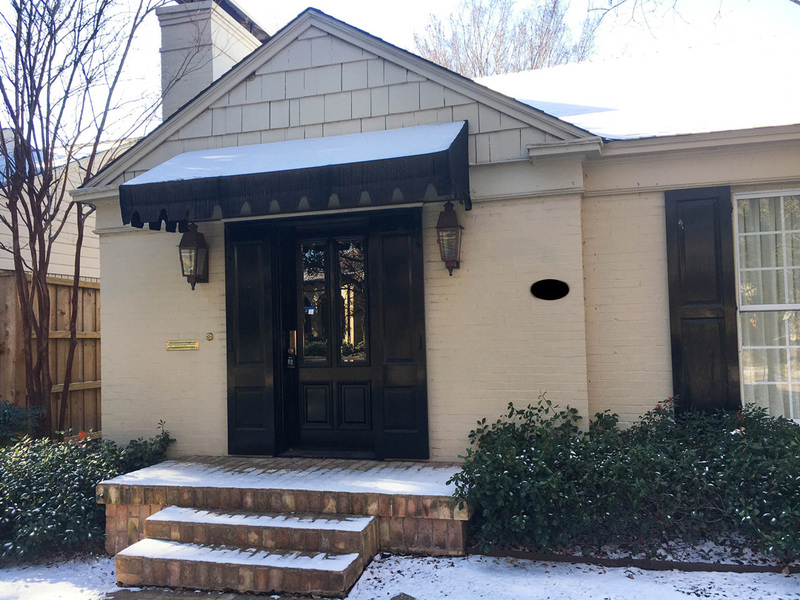 When I purchased my new home back in March and began working with builders for an add-on, I never imagined it would take this long to get up and running with it. 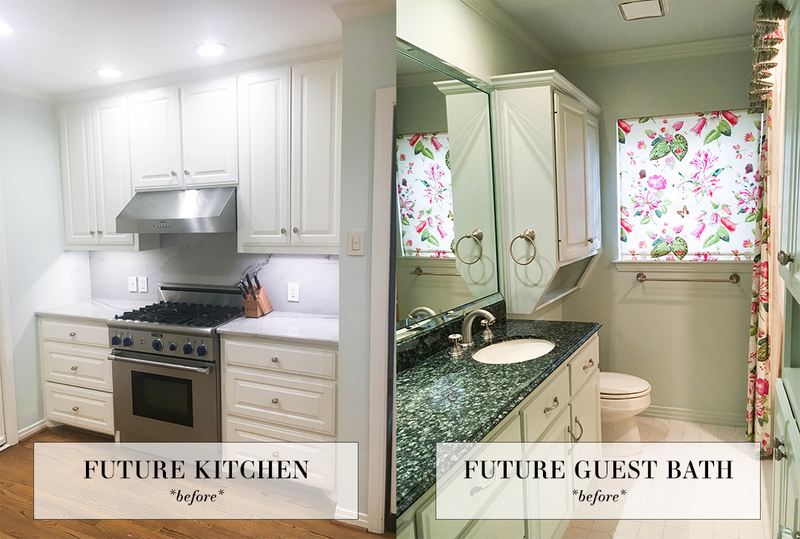 While it definitely would’ve been easier to buy a house that was ready to go, in the neighborhood I wanted it would have been way out of my price range – especially with the details I desired (hello, white marble bathroom and walk-in closets!). Location, to me, is everything. So with that, I found a fixer upper in the neighborhood I wanted! 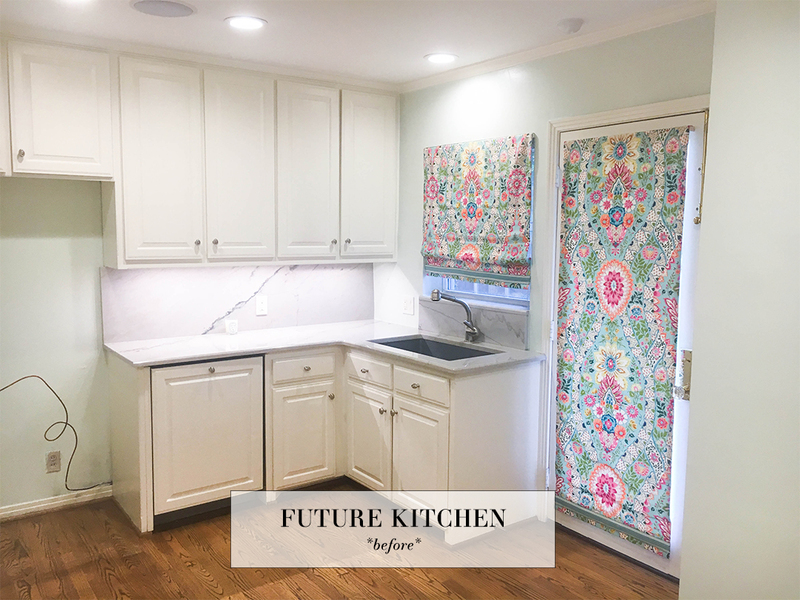 I was naive to think this whole renovation/add-on process could happen quickly, and it has proved to be a huge learning experience for me. Needless to say, I’m so thrilled to share that they just started construction! 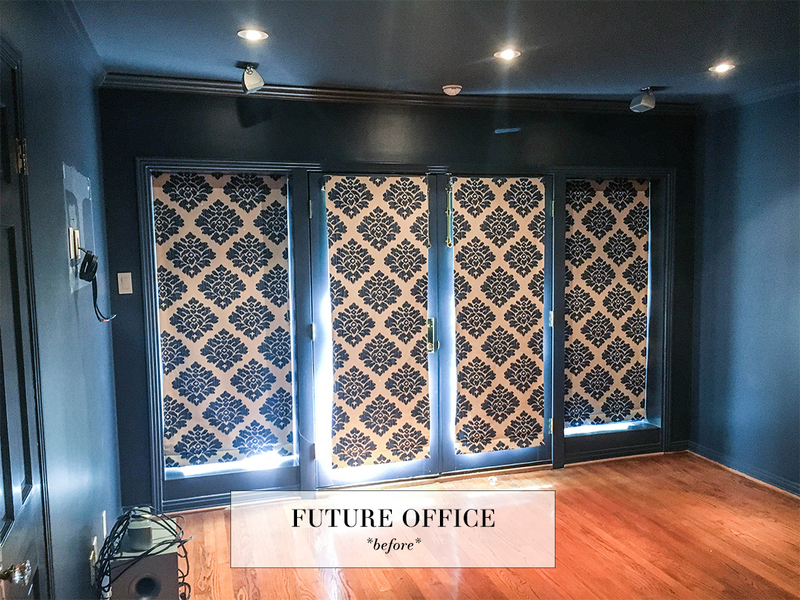 We’ll be tearing down both exterior walls to the dark blue room (my future office – see below for a pic of the demo work). The wall without windows will be bumped out a few feet and we’ll be adding three windows to bring in light, since we’ll be taking away the full-length windows and door on the other wall. 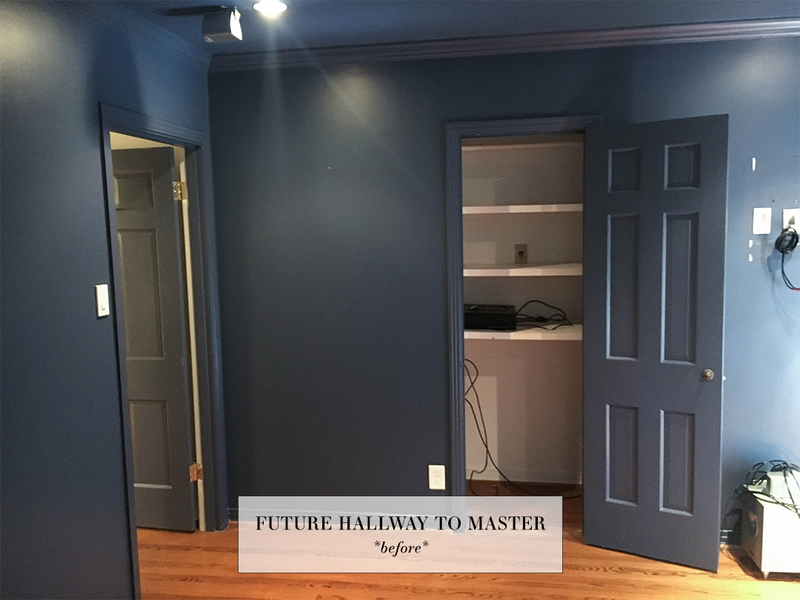 The other side of the dark blue room where the closet and door to the current structure’s hallway are, will become an interior hallway to the master bedroom. 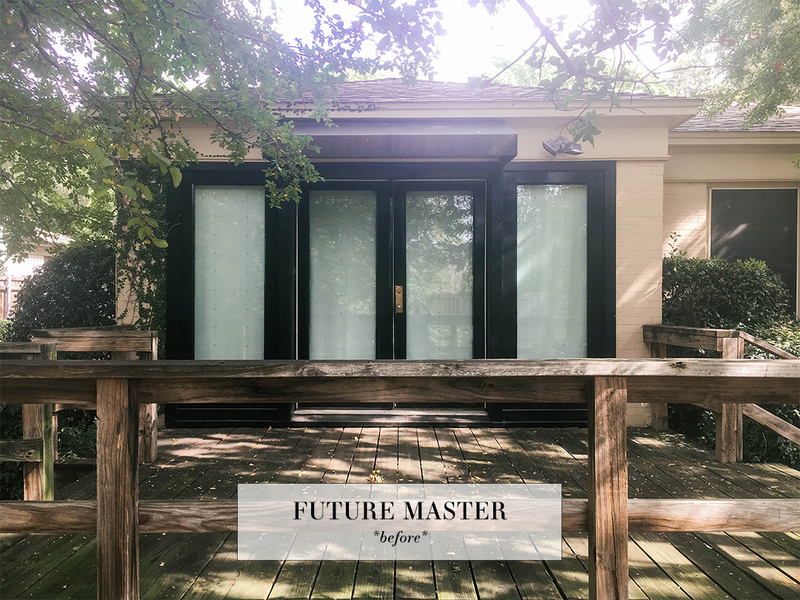 As you walk from the current structure through the new hallway towards the master, there will be a set of doors on your right to the office, and then several feet later a door to the future outdoor patio on the left. Keep walking through the hallway and you’ll hit the door to the master bedroom! The entrance to the master bath will be diagonally opposite from the master bedroom entrance from the hallway. 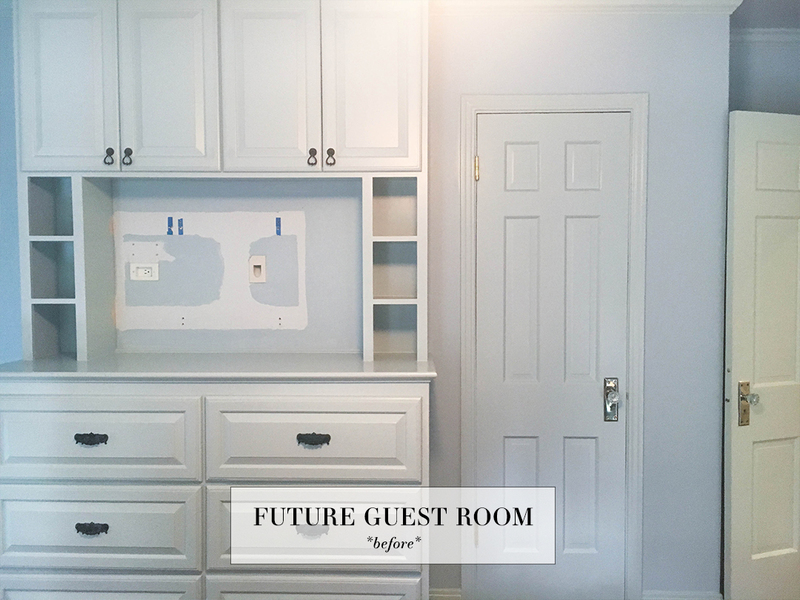 Once you are in the master bathroom, you’ll walk straight into the master closet – the closet and the office are the same length and share a wall, but are not connected. 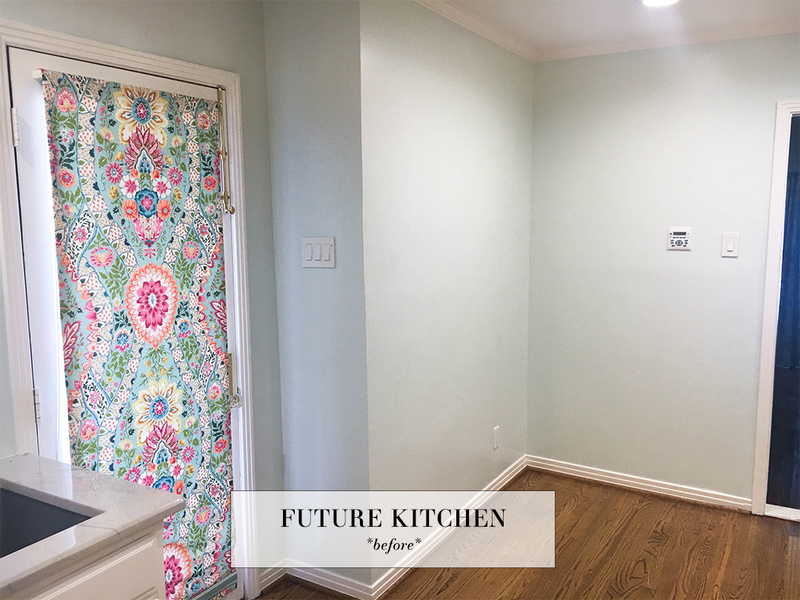 I did this so that the office could be turned into another bedroom or nursery upon resale – I also didn’t want work-related people (like my intern, photographers, etc) to have to walk all the way through my bathroom and master to get to my office. After the add-on is completed, I’ll be working with a landscaper to update the yard and add some sort of concrete patio. Hopefully that all makes sense! 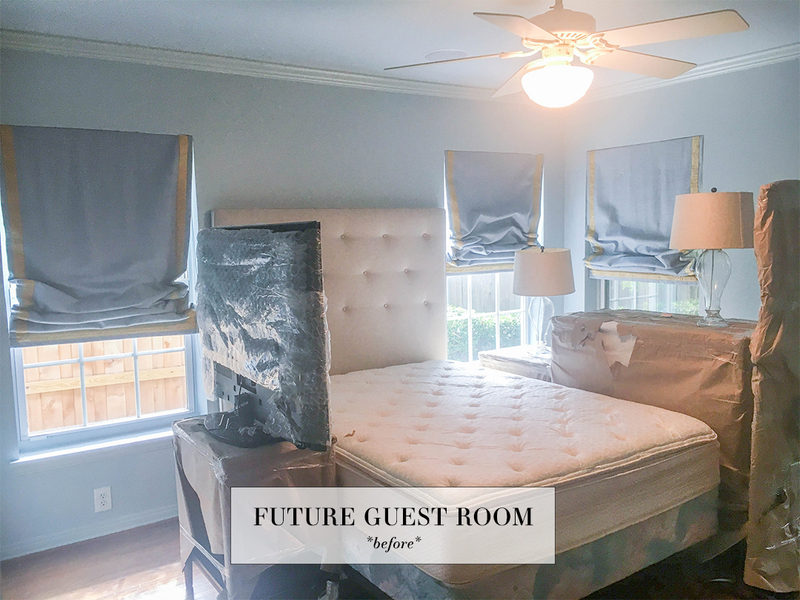 If you follow on SnapChat (username: merrittbeck), you may have a better idea of the layout since I’ve done a few tours on there… ;) I still have some great pieces of furniture from my old apartment, like the headboard + bed, nightstands, lamps, etc that you see above in the current master. I’ll be using all of it in the future guest room! Aside from that, I’m pretty much starting from scratch with the rest of the rooms in the house. 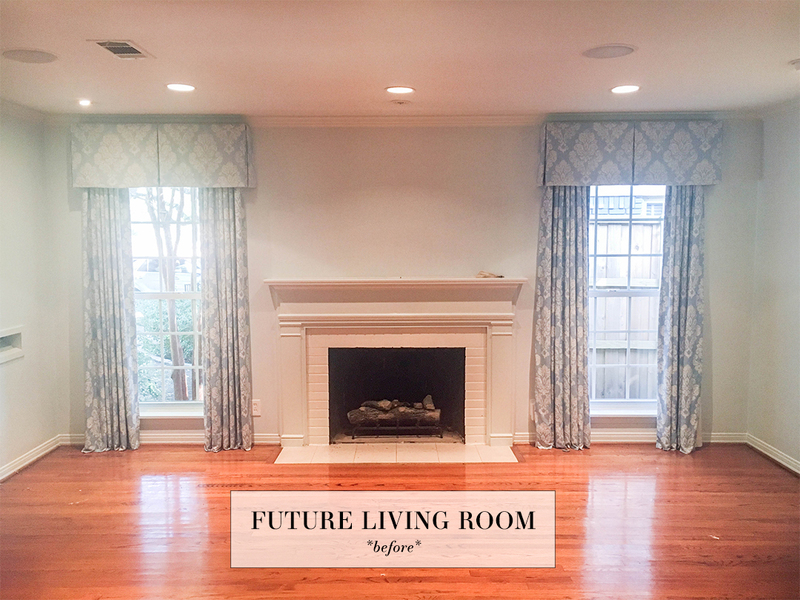 My interior designer, Maddie Hughes, has already been working away on the design boards for each room and I’m so thrilled for how it’s coming along! So far, we have the office and the master bedroom pretty much nailed down, plus or minus a few details. 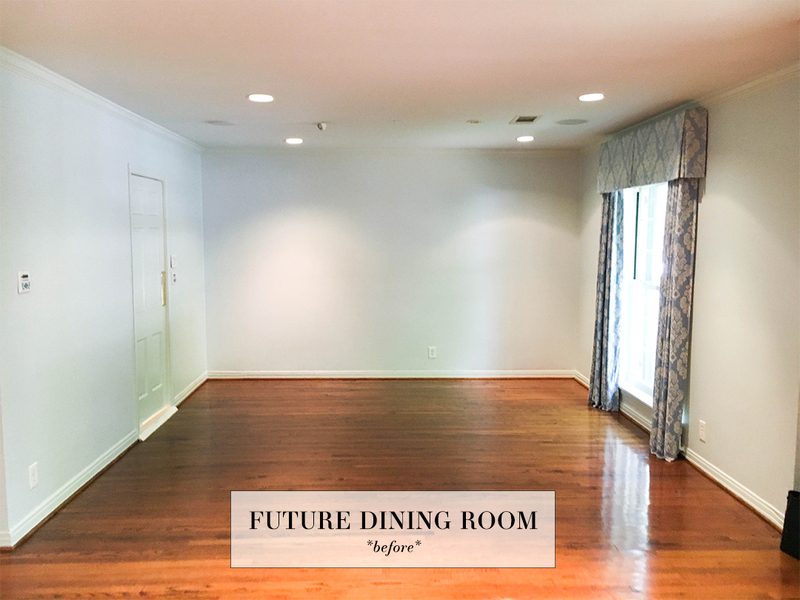 Next we’ll be working on the living room and dining room! I now understand this will likely be a very lengthy process, but now we’re getting to the good stuff! So excited to share our progress and more pics with you soon! Here’s a photo I took right before I left for Japan – can’t wait to see what’s been done since I’ve been gone! This is so exciting! I can’t wait to see the finished product. I just know it will be classic and beautiful! Oh this is so exciting!!!! Can’t wait to see how it turns out! So excited for you! Can’t wait to see the process and the end product!